Gone are the days when a cheese sandwich, some jelly and blancmange, and a quick a game of Swingball were enough to make a kid’s party a roaring success. Nowadays, kids and parents alike want their parties to be full-throttle. And they definitely need to be better than little Oliver’s pool party – you can’t be seen to be outdone! Kids have to leave with a big smile on their face and a huge party bag in their hand. Or, as we’re sure your fellow parents will agree, an even better scenario is for the little ones to leave flat on their backs and fast asleep; zonked out from all the amazing activities you set up. Either way, those are the true hallmarks of an awesome party. So, if you want to try your hand at awesomeness, where do you begin? Well, you know what’s even cooler than a kids’ pool party? A kids’ football party, that’s what! So, let’s say you want to host a kids’ football party on home turf; where do you even start? Other than a rushed 5-a-side footie match that descends into a melee, followed by a half-melted bowl of ice cream at full-time, how do you make the day memorable? It’s not as easy as it sounds and there’s always the danger that, if you’re not properly prepared and organised, you may end up with kids running around not knowing what the hell is going on, balls flying everywhere, and you struggling to deal with the chaos while your fellow parents sit there and silently judge you. But don’t worry, because it’s NOT impossible! If you’re planning a kids’ football party of your own all you need to do is read on to find some great ideas for what cool things you can get up to on the day. Maybe not the preferred choice of your average England fan, but this is a tried-and-tested winner at kids’ football parties – mainly because the little ones haven’t yet suffered the major tournament heartbreak that their parents have had to live through! This activity is easy to set-up, simple to control and does exactly what it says on the tin. A straightforward football party penalty shoot-out competition where all players take a penalty and those who score progress to the next round in a knock-out style mini-tournament would work great. Or you could use both sets of goals simultaneously and have two teams play against each other to decide the winning team, just like they do on the TV! The penalty shoot-out is an awesome way to boost kids’ focus and relaxation. This will help to get things going in a controlled and organised manner for you, while the kids get to enjoy a fun and engaging challenge. We ask, what kids’ football party would be complete without the legendary crossbar challenge? Whether striking the ball from a set distance or mixing things up by moving closer to the goal and trying to hit the bar with a header, this is a great game for players to improve their skill-set, accuracy and mental focus. The Crossbar Challenge also gets the newbie kids used to properly heading the ball (with more confidence than they even realised they had). Set it up and see who can hit the crossbar first! This one is nice and simple, but you’d be amazed at the reaction it gets. Kids simply kick the ball towards an empty goal as hard as they can. The one who can kick the ball the hardest is the winner. And to make sure you can announce a winner with complete accuracy, why not download a football speed detector app onto your phone so you can track the exact speed the ball has travelled. How cool is that? The Speed Shot activity encourages competition among the kids and is great for generating lots of cheering and laughing. And naturally, this will also help to keep the kids’ brains as sharp as a tiger’s tooth! What could be a more perfect way to round things off than a 100mph, all action, no-holds-barred game of football, with everyone involved? Since you’re reaching the end of the event, try to be lenient with the rules and organisation here. After a lot of structured activities, this is the chance to let the kids just go wild. And, as well as helping to develop a healthy competitiveness in the kids, you may be surprised at how often a 5-a-side football match displays team-work and cooperation without you having too much input. By being part of an actual team, kids learn how to play a part in that success (or how to accept failure gracefully). And you’ll be happy to know that even has some positive knock-on effects for their school work. Since you’ve managed to fit a lot in, there are several options available to you for awarding a trophy. You could have one for each of the activities (one each for the Penalty Shoot-Out, Crossbar Challenge and Speed Shot winners). Or you could just set aside special party bags for those children, and award one trophy for the one who scores the most goals during the match – a golden boot trophy that the winner will surely remember for years to come. Rewarding kids who win the various activities develops positive self-esteem and encourages others to be better at what they do. One great way to instil confidence is by inviting them to do something they love while being surrounded by their friends. Football party team activities help to deepen friendships and develop a sense of belonging. It is also worthwhile to know that through any type of sport, children understand how to deal with triumph and defeat. Don’t forget, you can make your own trophy or pick something up from a charity shop – it doesn’t need to be made of solid gold! After all, it’s the sentiment behind the reward that counts… and kids love shiny things. So, you’re convinced that a kids’ football party can be a huge success. 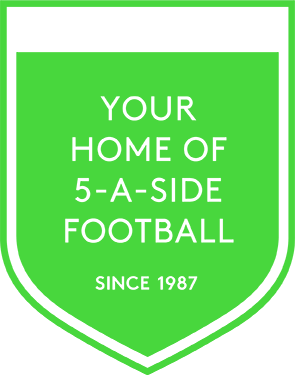 Well, we’re happy to be able to tell you that Powerleague can help you achieve this with minimum fuss and effort on your end. It really is the taking part that matters, and we’ve got a tonne of team games and exciting challenges for your kids to take part in… all overseen by an FA qualified coach. Opportunities to challenge and engage in outdoor learning are few and far between these days. But a Powerleague football party goes a long way to restore the balance. Click here to book a kids’ football party. 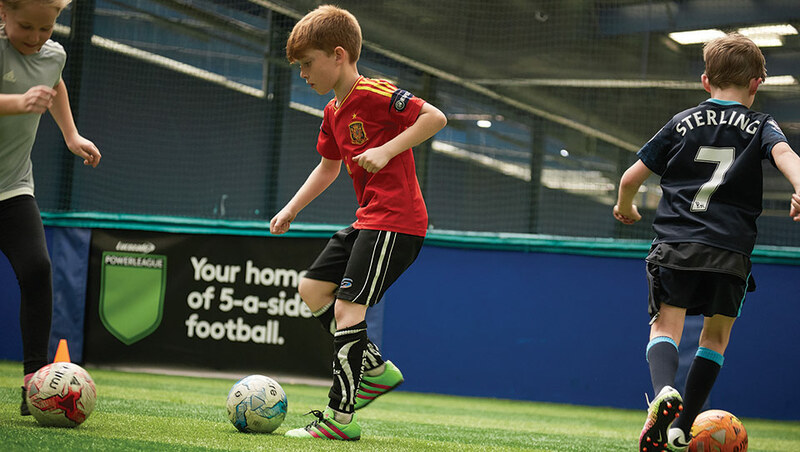 You can even secure a date today with just a £20 deposit, and check here to find your nearest Powerleague Kids football party venue. Trust us! 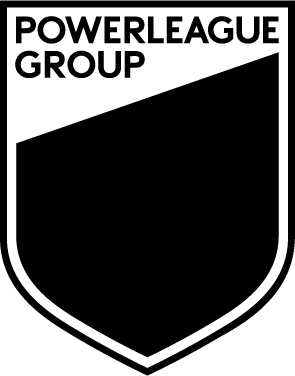 Kids will love the fast-paced excitement of Powerleagues parties. We’ll give them a day to remember and leave you free to sit back and enjoy while someone else handles all of the organisation. 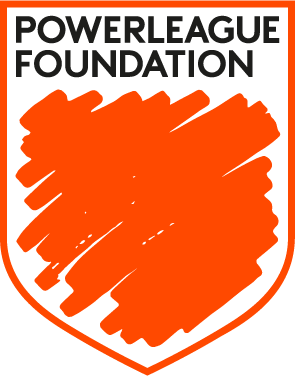 A Powerleague kids’ football party is a brilliant event where kids get the chance to forge good, healthy relationships with their teammates: relationships which could last a lifetime. In addition, involving kids in such a pastime keeps them mentally focussed and can even help them in their academic work. Get in touch to find out where is your nearest kids football party venue. And book today. Big Day, Big Fun is what our kids’ football parties are about. 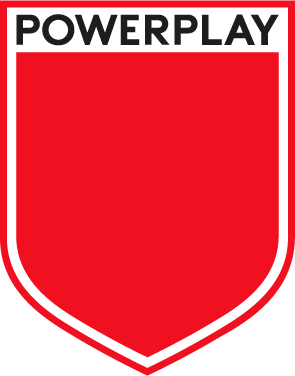 Suitable for children aged five and upwards, Powerleague’s parties have one goal: to max the experience for everyone involved!